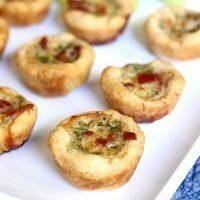 Maple Bacon Mini Quiche: Using maple as the star ingredient for these quiche and pairing it with bacon and thyme makes for a fabulous party appetizer. Recipe also includes full-size quiche instructions. What seems like ages ago, I hosted a French-inspired maple-themed luxury dinner party. Each of the 5 courses included at least one dish that highlighted maple as the main ingredient and while this dinner was delightfully successful, time completely escaped me and I never had the chance to blog about all of the dishes I made. And now we find ourselves heading back into Fall where maple continues to be a star ingredient so I’m taking the opportunity these next few weeks to share the recipes with you. Are you excited or what?! But would you believe that maple is also a spring ingredient? That’s right! Pure maple syrup is harvested from sugar maple trees across much of the northern US and in some parts of southern Canada in March and early April each year. Driving around New England, where I live, you can see metal buckets hanging from trees in these months. The buckets will collect the maple as it runs from the trees. The buckets of maple are then taken to the sugar shack where the maple is boiled down and processed into what we know as maple syrup. So as much as maple seems to be a great fall ingredient, it’s actually the perfect spring ingredient too if you’re one to eat seasonally! These maple bacon mini quiche started off my dinner party as an appetizer but made as a full-size quiche, it would be the perfect addition to any brunch or breakfast menu. A delicately sweet and boldly savory quiche, this is a great all-around recipe! To amp up the maple flavor, I used maple-cured bacon and I strongly encourage you use it if you can find it! It’s SO good! A little bit of fresh thyme rounds out these quiche with an “herby” background flavor and I think it’s the thyme, not the bacon, that makes these mini quiche so addicting. Or maybe it’s the buttery homemade crust. I don’t know; it’s really a tough choice! Either way, put these maple bacon mini quiche on your next party or holiday menu and your guests will love you for it! 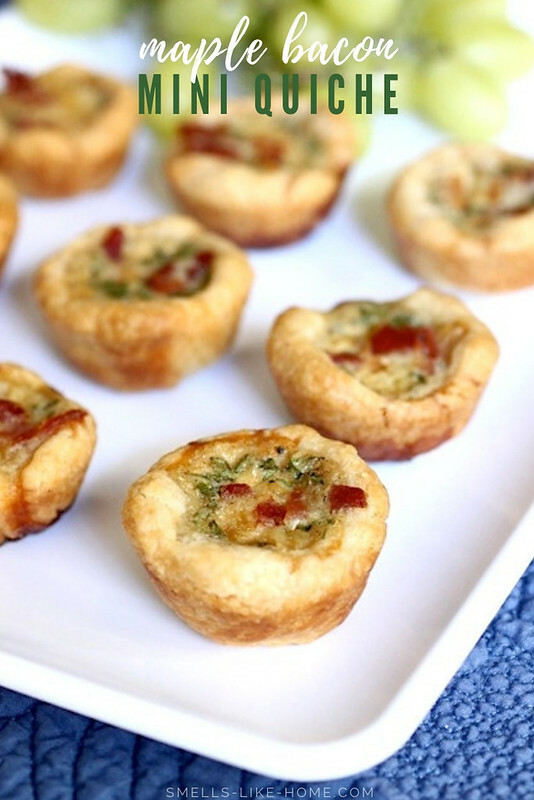 Maple bacon mini quiche are simple to make will be the star of your menu. 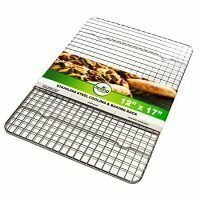 They are just perfect as appetizers for a holiday meal, bridal shower, baby shower, or Mother's Day brunch. You can make these quiche in advance and warm them up when you're ready to serve them. This recipe includes instructions for a full-size quiche too. To make a full-size quiche (10-inch): On a lightly floured surface, roll pate brisee to ¼-inch thick. Cut out a 14-inch round. (If you have dough leftover, wrap it tightly in plastic wrap and freeze for up to 2 months.) 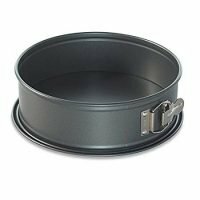 Press dough into bottom and up sides of a 10-inch springform pan, then fold sides of dough down to create a 2-inch-high border. Prick bottom several times with a fork. Freeze 30 minutes. Line dough with parchment cut to fit, and cover bottom with pie weights or dried beans. Keep dough chilled while the oven preheats. 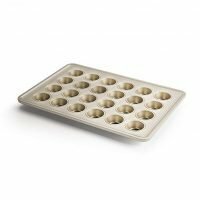 To make mini quiche (yields 18-24): Lightly grease two 12-well or one 24-well mini muffin pans. Pinch off pieces of dough and roll into approximately 1 ½-inch balls. Place one piece of dough in each well of the muffin pan. 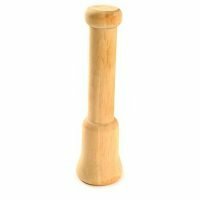 With a tart stamper or the blunt end of a wooden spoon that is dusted with flour, lightly press the dough into the wells, working the dough up the sides of the wells so that they form little dough cups. Preheat oven to 425° F. [For the full-size quiche] Bake until edges are just firm, about 20 minutes. Remove weights and parchment, return to oven, and bake until lightly golden, about 20 minutes more. Let cool completely on a wire rack. [For the mini quiche] Bake until the edges are just firm and the dough has puffed up, about 12-15 minutes. 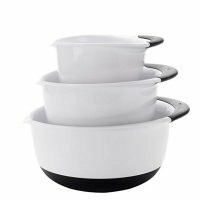 Remove the pan(s) from the oven and with the tart stamper or wooden spoon, lightly push down the puffed-up down to form dough cups again. Continue baking for another 5-7 minutes. Let cool completely on a wire rack. Reduce oven to 375° F. Place bacon in a single layer in a large skillet. Cook over medium heat, flipping once, until crisp, about 10 minutes. Drain on paper towels, and let cool slightly. Break into small pieces. Pour off drippings, reserving 1 tablespoon in skillet. 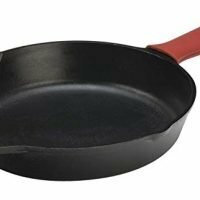 Add oil to remaining 1 tablespoon drippings in skillet, and heat over medium heat. Add onion, and cook until translucent, about 4 minutes. Add maple syrup and water, and cook, stirring and scraping bottom of skillet, for 1 minute. Remove from heat. Let cool slightly. Whisk together eggs, cream, thyme, salt, and pepper. 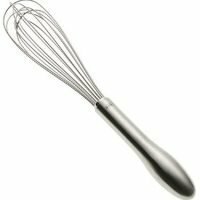 Whisk in onion mixture. Pour into cooled tart shell(s). Scatter half the bacon over top. [For the full-size quiche] Bake quiche until edges of egg mixture are just set, about 15 minutes. Scatter remaining bacon over top, and bake until puffed and golden brown, about 20 minutes more. Let cool for at least 30 minutes. Serve warm or at room temperature. [For the mini quiche] Bake quiche until edges of egg mixture are just set, about 8-10 minutes. If the eggs or crust begin to brown too quickly, spray a piece of aluminum foil with cooking spray and lay it lightly over the top of the mini-quiche. Scatter remaining bacon over top, and bake until puffed and golden brown, about 8-10 minutes more, or until the end of a sharp knife releases cleanly when the eggs are tested. Let cool for at least 30 minutes. Serve warm or at room temperature. Be sure you have made your pie dough in advance. This will take about 2 ½ hours total. If you're using pre-made pie dough for the mini quiche, cut the dough into 3-inch rounds and press them into the wells of the mini muffin pan. Proceed with the instructions as written. I absolutely love maple in my quiche…or with eggs of any kind. Thanks for sharing! These sound like a great little snack or breakfast treat. I love that your crust for these is from scratch and the maple and thyme flavors with the bacon sounds wonderful! Maple and Bacon… can’t go wrong there! I wish I had these for breakfast today…. I’m getting hungry thinking of it. 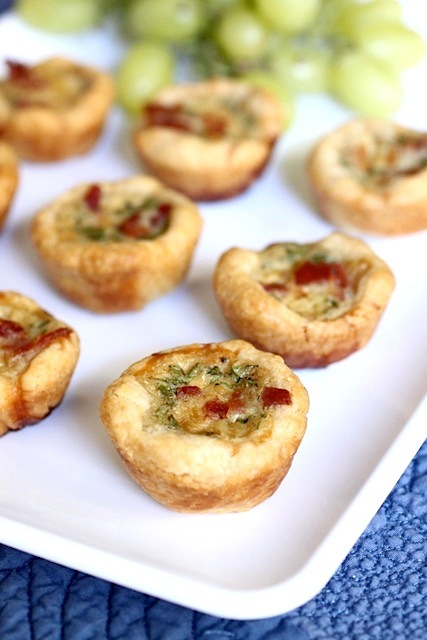 I adore one bite nibbles…and all the ingredients make these beautiful mini quiches winners!!! I love bite sized party food. These look super good and I bet my son would gobble them up. I love dishes with bacon and maple in them it is always a nice balance of flavors. I hope these atren’t too classy for football…cuz I’m thinking these would be great for tailgating! These look like little bites of Heaven! I just love maple and bacon together, what a great combo in the Quiches! i love maple & bacon together…this sound divine! These look perfect for my step sisters wedding shower! Bookmarked! I love quiche but find it a tad rich. This idea of a mini quiche is great, and the ingredients sound wonderful. The touch of maple coupled with bacon should provide that sweet/salty combo everyone just loves. Thanks! I love love love the combo of maple and bacon! delish! My mom made these for my (and my now husband’s) wedding two years ago. I wanted a “standing brunch reception.” When we priced local caterers they were going to be charging us $1 PER BITE SIZED QUICHE. We thought that was outrageous- instead my mom made 3000 bite sized quiches and froze them. Day of they were just pulled out and warmed up. Viola! We saved $2,500 making them ourselves 🙂 Gotta love moms!